If you’ve already decided that your next vehicle will be a Jeep, congrats, you’ve made a terrific choice. Choosing the right Jeep dealership might be tougher, and also may be a more important task than you think. Although some may view a dealership as merely a store, this interpretation misses a lot of small factors that can add up to a big difference. On the front end, a dealership should create a smooth car buying process with salespeople that respect your budget and unique needs. On the back end, they should offer an experienced service department well-equipped to handle your maintenance needs. When looking for a Jeep dealership Dallas, Frank Kent CDJR offers the perfect combination of sales and service. The current Jeep line-up is the most varied and capable that it has ever been. All five SUVs are ready for whatever you can throw at them, whether that be tough trails, an inner-city commute, or carpool duty. If price is a sticking point, the Jeep lineup now extends from the sub $20,000 Renegade to the over $50,000 Grand Cherokee and Wrangler. If you haven’t decided exactly which Jeep is right for you, here’s a quick primer to help you select your next vehicle. Few SUVs are more iconic than the Wrangler, a vehicle whose ancestors first appeared on the front lines of World War II. In the last seventy years, the Wrangler has modernized without losing sight of its original purpose. The Wrangler JL, which debuted in late 2017 as a 2018 model, pampers drivers with all the creature comforts and road manners of a commuter while retaining its reputation as the most capable off-road SUV on the market. Those looking for a bit of a bargain will want to check out the previous generation Wrangler JK, which was produced in tandem with the JL until April 2018. The Grand Cherokee is the most awarded SUV ever, and for good reason. This five-seat SUV has won more than 30 awards for quality, luxury, value, safety, and off-road capability. The current generation offers a variety of trims and engine choices to fit a variety of styles and budgets. The Laredo and Laredo E, which come standard with a host of safety features, keyless lock/unlock, and a seven-inch touch-screen infotainment system, both clock in at under $35,000. Further upmarket, the High Altitude (MSRP $48,420) and Summit (MSRP $52,040) trims offer luxury and refinement at prices well below other luxury SUVs. And finally, the bonkers SRT and Trackhawk for the performance enthusiast. While both borrow Hemi V8s from Dodge, the Trackhawk’s 707-hp Hellcat engine makes it the first SUV to ever offer 700+ horsepower. The little brother of the Grand Cherokee is the perfect compact SUV for the urban adventurer. Although still able to handle off-road adventures with ease, the Cherokee is an accomplished commuter or family hauler. With the 180 horsepower 4-cylinder engine, the Cherokee achieves 22/31 mpg. When combined with the SUV’s almost 16-gallon fuel tank, the result is a highway driving range of 489 miles – roughly the distance from Dallas to New Orleans. Inside, drivers will enjoy standard features including leather trim and seating*, Uconnect touch-screen infotainment system with Apple CarPlay and Android Auto, and chrome accents throughout the cabin. Don’t be fooled by the Compass’ bargain price; this SUV is packed with features well above its starting MSRP. 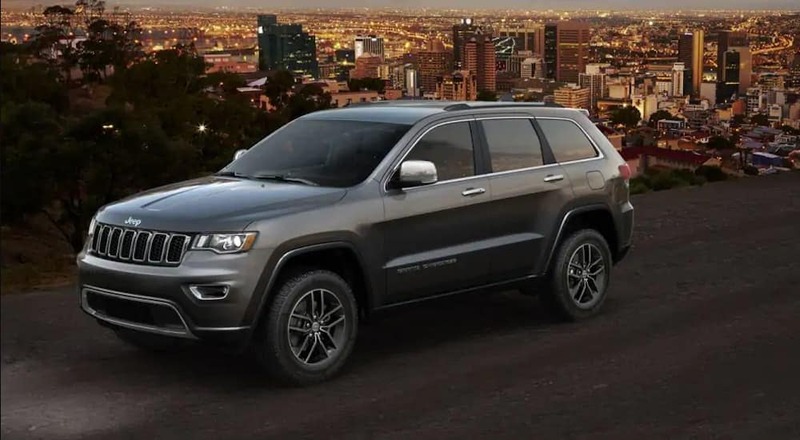 The base Compass uses the same 180 horsepower 4-cylinder engine found in the Cherokee and ekes out one-mile improvements in both city and highway mpg to 22/31. Standard features include a backup camera, Uconnect infotainment with a 5-inch touchscreen, and remote keyless entry. Much like the Cherokee, the Compass is able to live up to the Jeep name when the roads turn to gravel and dirt. In addition to luxury and technology upgrades, the Trailhawk trim also features Jeep’s Active Drive Low 4×4 System with a class-leading 20:1 Crawl Ratio and the Selec-Terrain traction management system. The smallest of the Jeep family, the Renegade is a modern subcompact SUV that is tougher than it looks. Priced below $20,000, the Renegade is the perfect entry for buyers looking to join the ever-growing Jeep family. Looking to show off your personality beyond paint color? The Jeep Brand Graphics Studio allows you to create a custom decal(s) design for your Renegade – just design, order, and apply at home. With the available SiriusXM Guardian app, Renegade owners can lock/unlock, remote start, locate, and send remote directions to the available navigation system from their phone**. Although small in size, the Renegade punches well above its weight class. In addition to our stock of more than 50 new Jeeps, Frank Kent CDJR also carries more than 128 used models from a variety of brands. If you don’t see anything you like in our new inventory, we have multiple pre-owned Jeeps that may fit the bill. All used vehicles come with a Carfax report, which is available 24/7 on the vehicle’s online listing. Interested in a lifted vehicle? We stock Wranglers that will have you feeling like the king of the road. Our service center is open from 7 a.m. – 7 p.m. on weekdays and has availability on Saturdays as well. Even if you didn’t buy a Jeep from us, we will be happy to have our certified technicians help you with your service needs, from regular maintenance to major repairs. For those looking to upgrade their Jeep, we offer Mopar performance parts and accessories. Those looking to stay with their vehicle during service are welcome to use the free Wifi in the lounge or the shuttle services we offer to customers on the move. We believe in servicing the cars we sell and are dedicated to making your entire Jeep experience as pleasant as possible. Frank Kent is one of the premier Jeep Dealerships near Dallas and the surrounding area. We have an extensive inventory of Jeeps from across the spectrum that are ready to be sold. Whether you’re looking for a brand-new 2019 model or a used model, we’ll be able to help you find what you’re looking for quickly. We will be able to help you through every aspect of the process, from finding your perfect Jeep, to securing financing, and everything in between. Our highly-trained and well-respected staff members will be able to assist you and will provide you with exemplary customer service. This is something we pride ourselves on, as we strive to provide excellent customer service to each customer who walks through our doors. 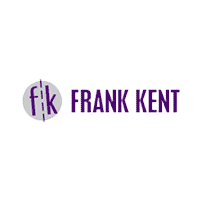 If you’re someone who has had a poor car-buying experience, don’t let that sway you from stopping by Frank Kent CDJR. We will show you the respect that you deserve and provide you with an inventory that will leave you speechless. If you’re ready to commit to a new or used Jeep, or you have questions for the experts, it’s time to stop by our conveniently located dealership. You’ll be glad that you did.